Nile Ranger remains a Blackpool player but is being fined for every day he is missing. 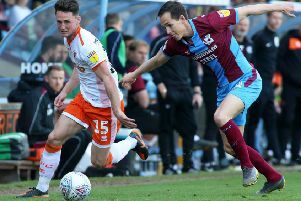 The striker hasn’t been seen on the Fylde coast since the start of December, after being left out of the squad for the 1-0 win over Birmingham. Lee Clark later revealed that the 23-year-old had failed to report for training and so would not be considered for selection. After almost two months without contact, the manager revealed: “We still haven’t seen or heard from him. Ranger scored twice in nine appearances for the Seasiders, having described his summer move to Blackpool as his “last chance” in football after a catalogue of controversies saw his contracts terminated at Newcastle and Swindon Town. While his is unlikely to play for Blackpool under Clark again, the manager hopes the Londoner can get back into action on the field. He said: “I’d like to see him back playing, just for the lad himself. “If it’s not with us, it should be with someone. There’s a talented footballer there somewhere.